Hard to get too excited when in a Greedy King pub and here is no exception. Same old GK ales: Abbot, IPA and Old Speckled Shite. Where are the seasonal ales? Where are the special occasion brews, i.e. Rugby World Cup? Do they not bother brewing anything different than their bland offerings? If they do, then why are they not in many off their pubs? Nice little pub in Little Hadham. They concentrate on the food, though there is a small and firendly bar too. The meals are very popular and you would do well to book ahead. There is a decent choice and good portions. Nice home cooked food, and decent beer. Not the cheapest pub meals we've had, but they don't need to be as it is the best for miles. The qulity is good and the landlord & lady are friendly and clearly care about their customers. If your hungry please dont bother!!!!!! By 1.30 today (sunday) all they had to offer was pork as had run out of lamb,beef & turkey? Nobody told us this either they decided to wait until we were all placing our orders,most of us wanted lamb & even then staff had to keep running back to the kithen to cheak there was enough meat of what they did have! waited a while & then out of nowhere chicken was available so orders had to be started all over again!It was all very unorganised & frustrating.I have never been to a pub like it ,for what should of been a enjoyable sunday roast with family was chaos! Staff did their best but owners couldnt care less! Wanted to get up & leave but 6 small children already way past thier lunch time were all too hungry & wouldnt of been fair on them. Extreamly dissapointed,certainly wont go back.Very poor service! 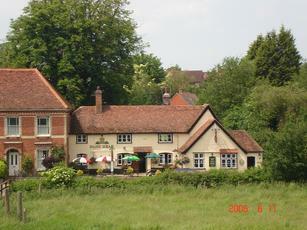 Just returned from a sunday lunch at The Nags Head with family. A lot of us, and some little ones, but we booked ahead to be sure of getting a table. A very disappointing experience: half way through ordering we were informed that two of the three roast dinner meats (beef and lamb, if you must know) were no longer available, surprising at 13.30 on a sunday. The chaotic organinsation of taking our orders after that was extremely frustrating, and although the serving staff did their best to resolve the problem, the landlords/owners had a very poor attitude and were unapologetic and unhelpful, basically telling us to take it or leave it. Unfortunately, because the children were starving at this point, we stayed to eat as otherwise we would certainly have left. A very bad service! I came here for a large family meal, as my mother in law is over from abroad, and I wanted to take her somewhere nice. Overall, we were all very impressed with the place. The service left a little to be desired, but given that the current management have only been in place 8 weeks, this can be forgiven. The food isn't cheap, but its certainly worth the money. Their seafood selection is divine, and all fresh. Their steaks also looked impressive, although the vegetarian menu could have done with a little more attention. I'd thoroughly recommmend the Nags Head. The few "crinkles" are easily forgiven when you have a mouthful of their wonderful fish, and while the service is a little unpolished, they are definitely making an effort. Go here, and you should come away a very happy (and very full) person!